A creativity exercise for you. This freebie is for you. Creativity is often a struggle. I’ve heard “I’m not creative” more than you will ever know in the past ten years of teaching all ages. Well, I don’t believe you. Anyone can exercise their creativity just like you exercise to build muscle. So lets try it! 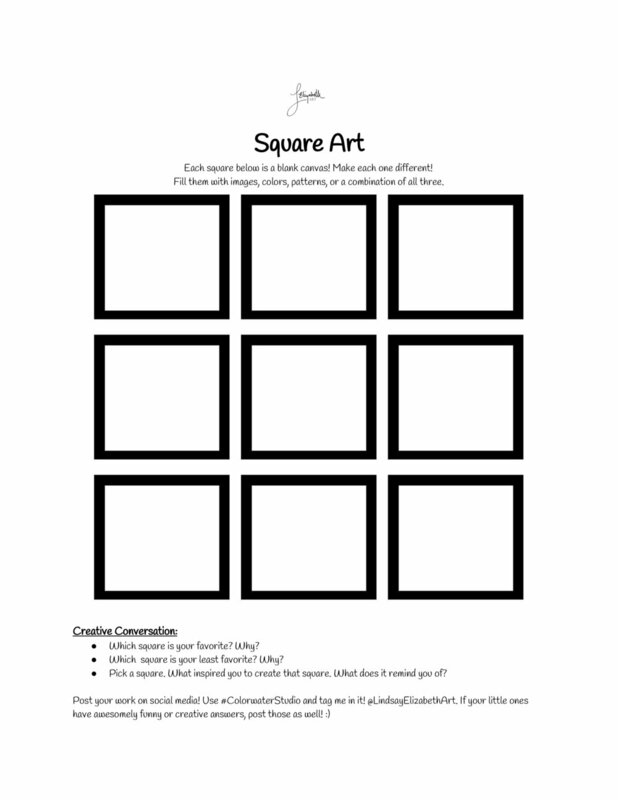 Download and print “Square Art” below. Have some fun with your kids, with your husband/wife, or by yourself. Don't think too hard…just CREATE! For more experienced artists who are having a creative block, you could use this square format to brainstorm a variety of compositions or just doodle while your creative brain comes back to life. Ha! I do something similar quite often. I’m also hosting a five-day “Creativity Challenge” in February. There will be prizes at the end! Stay tuned for more information about that! If you or someone in your family completes this creativity exercise, post it on social media and tag me in it….adding it to your insta story would be awesome too! I can’t wait to see what you come up with! Have I told you lately how much I appreciate you letting me bring some artsy fartsy content into your lives? If not THANK YOU!! !